Let the bevvs and vinyasa flow at these Seattle breweries and bars. 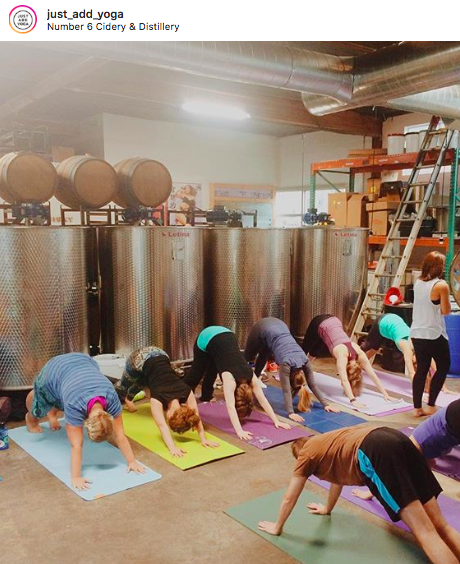 Brewery yoga is a blossoming activity at breweries around the world. Anyone from the Pacific Northwest knows that beer culture in Seattle runs deep which is a primary reason why the Emerald City has a wide selection of beer yoga, hoppy pilates and libation-oriented fitness classes. 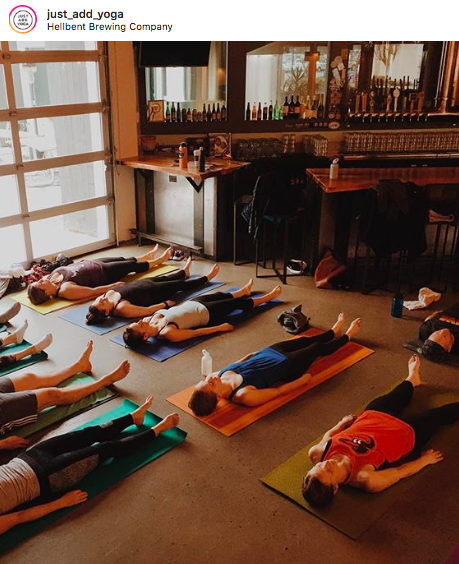 Pilates and Pints is an hour-long pilates/yoga fusion class hosted by multiple Seattle breweries. The current rotation includes the 1st & 3rd Saturday at Counterbalance Brewing at 12pm, the 1st Sunday of the month at Lucky Envelope Brewing at 11:30am, and the 2nd & 4th Sunday at The Pike Brewing Company at 11:15am. All classes are $20 and include a beer. Tickets are available to reserve your spot in advance. 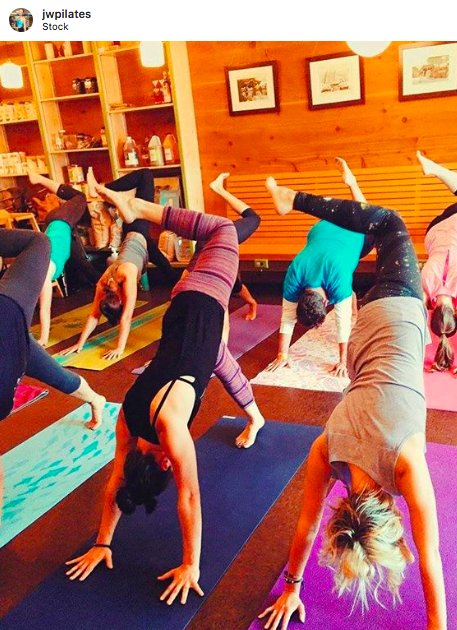 Just Add Yoga hosts a variety of boozy yoga classes around Seattle, pairing yoga with mimosas to whiskey. An events schedule is posted on their website and advance tickets are recommended - purchasing the yoga class without the booze is also an option. Just Add Yoga has the largest selection of yoga-and-bevv classes in Seattle according to our research - cheers to finding a class near you! 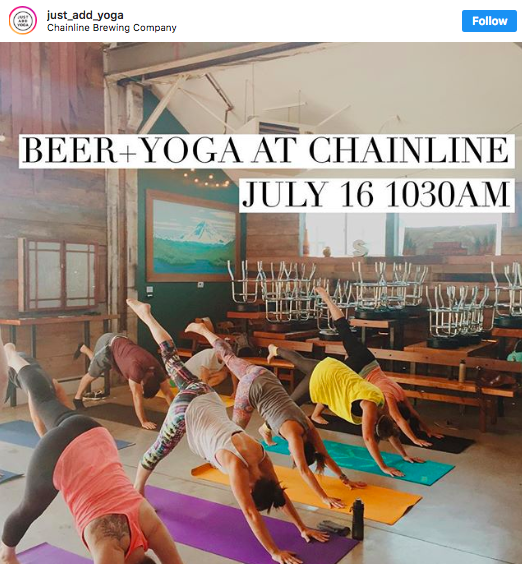 Locations for Just Add Yoga include Seapine Brewing Company, Lucky Envelope Brewery, Chainline Brewery, and Hellbent Brewery. 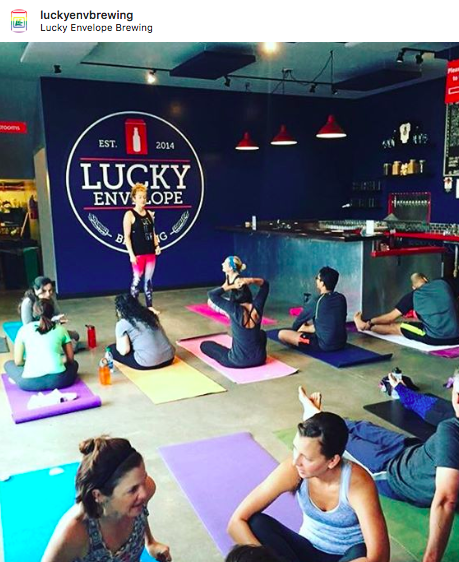 Gluten-free beer yoga classes have been hosted at Ghostfish Brewery and Number 6 Cider. Stock is known for serving slow food fast in Ballard. Peddler Brewing is a bicycle themed brewery but works with Core Power yoga to host classes.